The Apple Watch is an amazing product, especially in terms of how it can monitor your body. Thanks to the plethora of sensors it possesses, it can be a very powerful tool for medicinal purposes, apart from the already excellent fitness use. In order to show its health prowess, a team of Stanford scientists, helped by Apple, made a study with over 419,000 participants that used the Apple Watch. More precisely, they monitored their hearts via the sensors inside the watch in order to find an irregular pulse or some other heart diseases. After conducting the study, which lasted around eight months, they founded that 0.5% of the people (around 2,000) have an irregular pulse. Apple and Stanford than used these findings to tell the users about their heart condition via a notification on their watches. In order to prove that the result is positive, a full medical-grade examination using ECG patch was made on one-third of the participants, and it was found that they have atrial fibrillation. Perhaps even more important, 57% of the people notified sought medical attention after they saw the flag. This study shows that wearables can be very helpful in detecting certain heart diseases, only with the help of a regular optical heart rate monitor. This sensor is used in the first three generations of Apple Watch, but also many other smartwatches and wearables from companies like Samsung and Huawei. Interestingly, the fourth generation of the Apple Watch already has ECG monitor built-in, which can detect the same pulse irregularities. 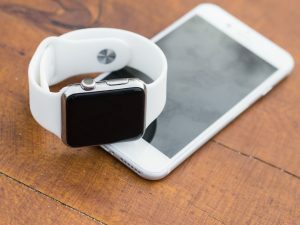 In spite of that, researchers still think that this study is very important – “The results of the Apple Heart Study highlight the potential role that innovative digital technology can play in creating more predictive health care,” said Lloyd Minor of the Stanford School of Medicine, adding “Atrial fibrillation is just the beginning, as this study opens the door to further research into wearable technologies and how they might be used to prevent disease before it strikes”.